Style Inspiration: Emma Wallace's "The Stuff of Fairy Tales"
Emma Wallace - "The Stuff of Fairy Tales"
I first heard about Emma Wallace's music on The Girl with the Blue Bow and immediately fell in love with her clever, enchanting, ragtime-inspired tunes (I bought her album Temptation in May and it's still on my current playlist). When Christianna asked if I'd like to help out with the release party for her new album, The Stuff of Fairy Tales, I just had to say yes. I decided to do a fashion feature and talked to Emma about her inspiration and style for her album photos. 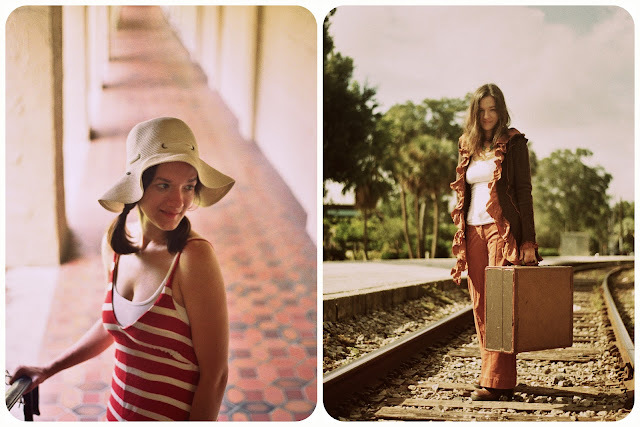 Emma was heavily influenced by the late 60's for her latest album and went with a hippie-inspired look for the photo shoot. Her style in the photos is very boho and breezy, but still effortless and cute. Her biggest muse was Michelle Phillips from Mamas and the Papas, which I thought was a fun tidbit. 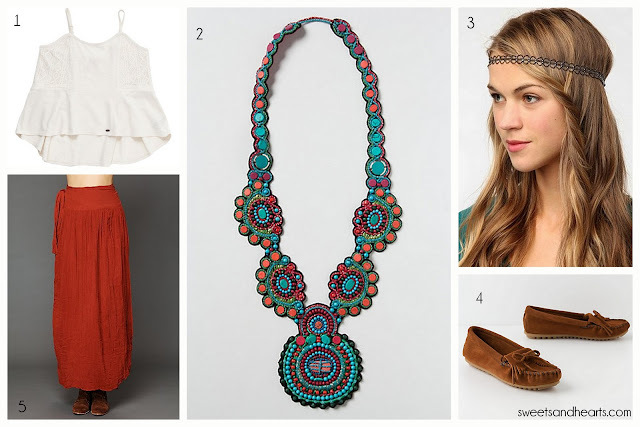 For more 60's influenced fashion, check out Free People and Anthropologie for vintage-inspired fashion. Stick to earthtones and muted shades, natural and sheer fabrics, draped styles, crochet and fringe details, and beaded necklaces and headwraps. Lastly, here's a bonus treat for you: you can give a little listen to a couple of the album's songs right here! Most of the songs are inspired by fairy tales and princesses. "I Should Know Better By Now" is inspired by Cinderella and "Moving On" is inspired by East of the Sun, West of the Moon. Enjoy! 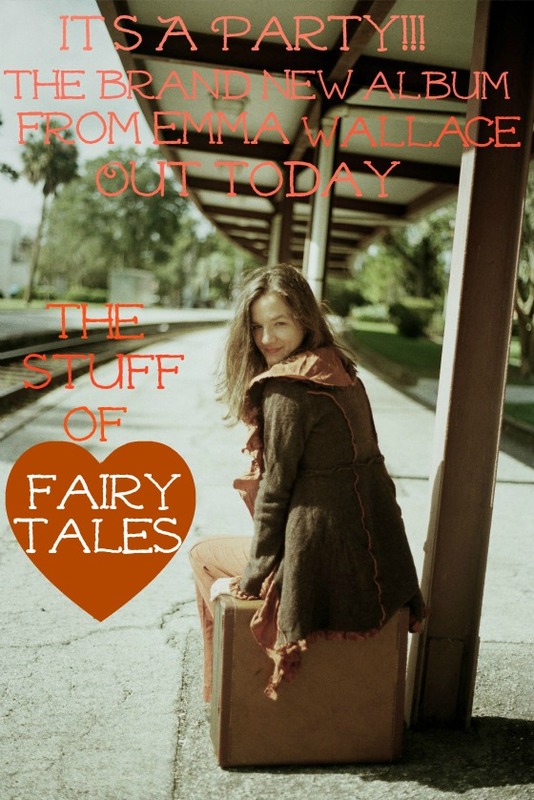 Emma Wallace's "The Stuff of Fairy Tales" (the complete album and individual songs) can be purchased on Amazon. I'd love to know what you think of Emma Wallace's music and style!